Posted on Tuesday, March 27, 2012 by "T". 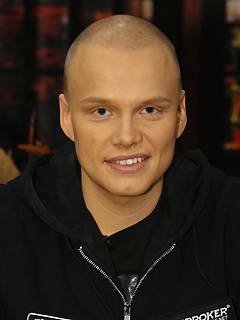 The Finnish poker pro Ilari Sahamies, who was the biggest winner online on PokerStars last year, has had a really bad start to 2012. And in fact he was the biggest loser online this year until he finally had 2 big wins on Sunday and Monday. On Sunday, he topped the leaderboard after winning $143k at the $50/$100 and $100/$200 Pot Limit Omaha tables on PokerStars during a 4,5 hour session. Yesterday his winning streak continued when he played over 1000 hands of PLO against regulars such as Ben "Sauce123" Sulsky and "Fake Love888" and got away with a $277,000 profit. About $200,000 from this profit came from "Sauce123" on a $100/$200 PLO table. According to chat conversation between the two, "Sauce123" seemed quite frustrated when Sahamies decided to call it a day. And who can blame him for that? It can't be easy to stop after losing $200k to someone in such a short session + Sahamies is usually not the one who "calls it a day" when he's running well. It will be interesting to see how the rest of the week plays out for the Sahamies. If he continues like this it won't take long until his bankroll (that was about -$1 million before Sunday's session) will turn into a big plus. But there's a long way to go and, as we all know, it's like a roller-coaster ride every day on PokerStars nosebleed tables. 5 comments for "Ilari Sahamies wins big 2 days in a row"
Sahamies seems like a nice opponent in what matters to have day sessions. Although this time he decided to finish the session being winning, looks like he usually don’t do that. It is like if he gives others the chance to reduce their deficits, although running the risk of losing even more. Tommorow he could lose them all or even more but only future will tell if he will be able to be on plus this year on stars. I think he did wrong when left the game with sauce after such a win in such a short time. It's always good to know when to stop when you are losing, but you shouldn't stop that fast when winning, cause there's always a great chance doubling your winnings if opponent go on tilt and starts playing with unnecessary risk..